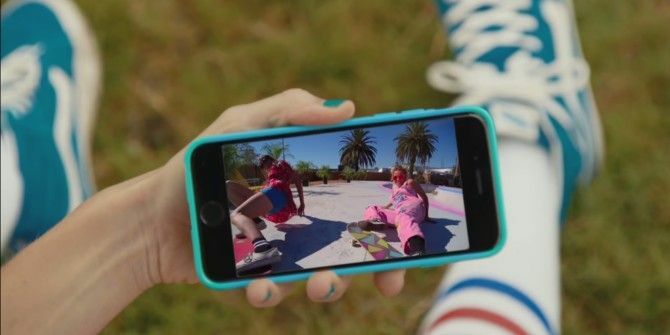 Snap is rolling out a new tool for Snapchat. Called Visual Search, this lets you search Amazon by pointing your Snapchat camera at products in the real world. Which is good news for Amazon, and bad news for your bank balance The Best Personal Finance & Budget Calculators to Manage Your Spendings The Best Personal Finance & Budget Calculators to Manage Your Spendings Getting your finances in order can be tough, but having the right figures on hand makes it a lot easier. No matter you financial situation, we have the calculators you need. Read More . When the app recognizes that product or barcode, it will display an Amazon card on your screen. This will show a link to the product you just snapped or a list of similar ones available to buy on Amazon. Tap on a product and you’ll be directed to Amazon.com. Snap is currently only testing Visual Search with selected users in the U.S. However, based on the fact the company has officially announced the feature, this isn’t a test that could lead nowhere. Instead, it’s just the start of a (potentially) slow rollout. If you’re in the U.S. you’ll likely get to use Visual Search within the next few months. Then, depending on its popularity, and the deal Snap has in place with Amazon, Visual Search should be rolled out to users in other countries as well. Snap is refusing to say whether it’s making any money from Visual Search. However, we would assume Amazon is willing to pay Snap every time Snapchat sends someone its way. If that’s not the case then Amazon has secured a very sweet deal indeed. If you don’t currently use Snapchat but are now tempted to do so, check out our complete beginner’s guide to using Snapchat How to Use Snapchat: A Complete Beginner's Guide How to Use Snapchat: A Complete Beginner's Guide Snapchat is popular, but a surprising number of people don't know how to use it properly. This article will help turn you from a novice into an expert. Read More . And if you want to try similar tools we recommend giving Google Lens What Is Google Lens? 6 Interesting Things You Can Do in Google Photos What Is Google Lens? 6 Interesting Things You Can Do in Google Photos Google Lens lets you discover cool information about any picture, and it's now integrated into Google Photos for Android users. Read More or Microsoft’s Visual Search Microsoft Brings Visual Search to Your Smartphone Microsoft Brings Visual Search to Your Smartphone Microsoft has added Visual Search---Microsoft's answer to Google Lens---to Bing's mobile apps, meaning you can now use it on your smartphone. Read More a try. Explore more about: Amazon, Snapchat.